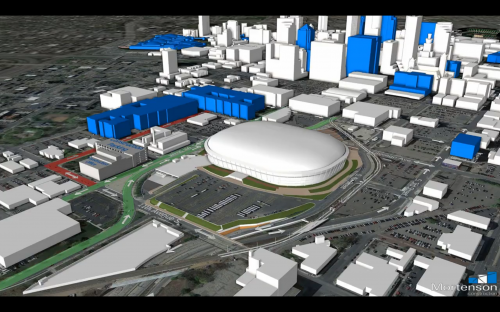 The MSFA (Minnesota Sports Facilities Authority) has an interesting video illustrating how the Metrodome, with it’s new roof and turf, will be destroyed to make way for a new parking lot, VIP suite bathrooms, and stadium restaurants to compete with existing downtown restaurants. Another thing the video shows is the loss of tailgating lots. The tailgating crowd spent a lot of energy lobbying for a new Vikings stadium, and it looks like their reward for their efforts will be the destruction of their tailgating lots. I’m not sure if they fully considered how a stadium that serves the same purpose but takes up twice the space could be built without doing so. 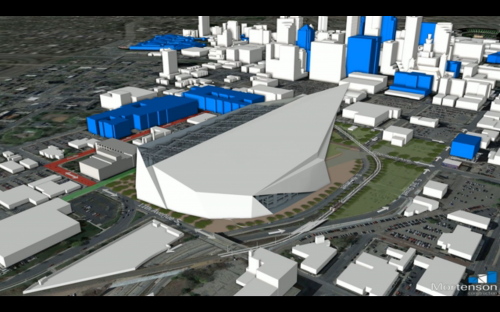 And, since Minneapolis wants to pretend NFL stadiums drive development (didn’t they learn anything from the Metrodome?) they’ve handed the public’s money to Wells Fargo to build a new facility on tailgating lots. 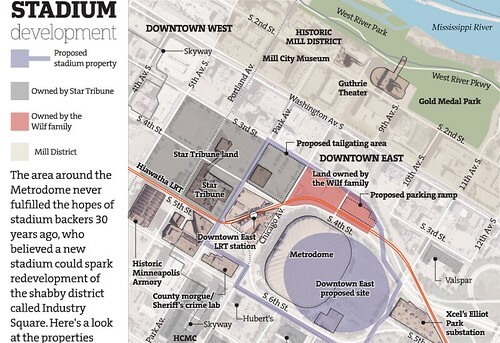 But, what interests me the most about this are the two lots between the existing Metrodome and 3rd Street / Chicago & 10th Ave. I ran past those lots back on October 13th in the middle of a 22-miler. 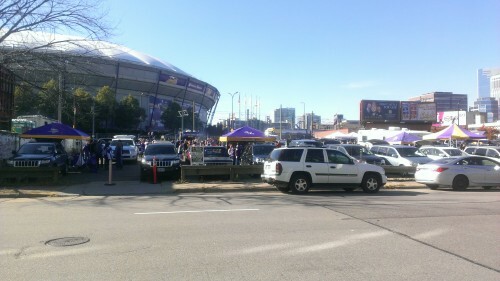 The lots were packed with tailgaters preparing themselves for the Vikings’ 35-10 loss to the Panthers. The Wilf Family of Fraudsters have far more important plans for that land than to host tailgaters. They’re planning an easy-on/easy-off VIP-parking lot for suite holders that allows them to enter and exit games without having to interact with the tailgating crowd. Nothing personal. It’s just about money. But, would the Wilf Family of Fraudsters be in a position to build their publicly subsidized VIP parking ramp for suite holders without the help of the tailgaters who camped out at the Capitol to lobby on behalf of the civil racketeer owners? Isn’t that a strange relationship?